IT Guru Solutions was established in November 2014 by Wesley Bruwer, Bernd Finkeldeh and Leigh Westerdale. Our company vision is to provide comprehensive ICT solutions to SME businesses in Namibia which are professional, cost effective and stable. We see ourselves not just as a support provider, but as a solutions provider. We understand that every client has unique requirements when it comes to their ICT infrastructure. We aim to provide our clients with a system that is easy to use, within their budget, reliable, stable, and efficient, but most importantly fits their specific needs. 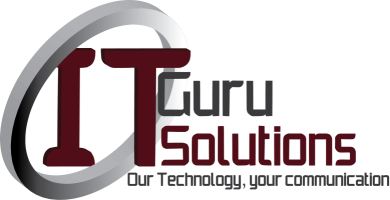 IT Guru Solutions is commited to providing ICT solutions to you our client, by offering professional, sustainable and afforable solutions including Support, internet connectivity and specialised ICT systems tailor made for to your needs. IT Guru Solutions strives to become one of the top ICT solutions providers in Namibia by offering professional, comprehensive, affordable and sustainable ICT solutions to all their clients.